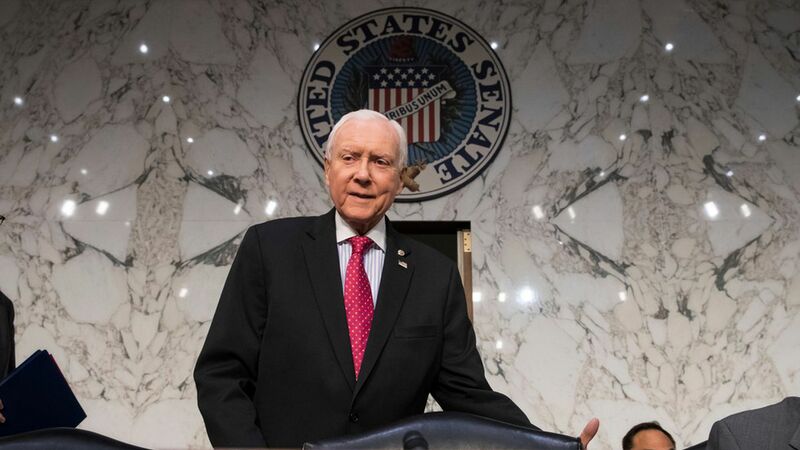 Senate Finance Committee Chairman Orrin Hatch released the revisions to the Senate tax plan tonight. The new version sunsets most of the individual tax provisions after 2025, but makes the lower corporate tax rate permanent. It also repeals the Affordable Care Act's individual mandate. What we're watching: Whether ending individual tax cuts — as well as repealing the individual mandate — while keeping the lower corporate rate sinks the bill. Making the rates temporary was done to make the bill comply with Senate budget rules for the process the GOP is using to pass the bill. Increase of the child tax credit from $1,000 under current law to $2,000 (was $1,650 in old version of the bill), until 2026. Slightly lowers some of the individual tax rates for middle-class brackets compared to the earlier version. Modifies the rules surrounding the new deduction for pass-through taxation.